Fungus, gentle readers. Fungus from feet! Yoga feet! Okay, I'm done. Comrades, there's no private property in Blogville, am I right? So I'm appropriating this great find from LM, who discovered it on the informative Accidental Russophile. 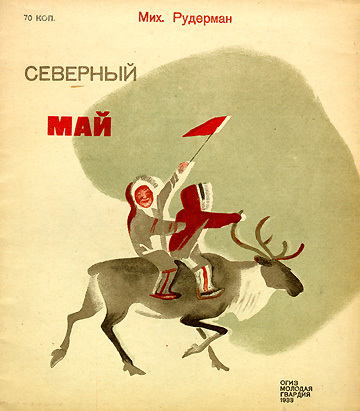 Anyway, I'm claiming these wonderful Soviet children's books for CityMouseistan, on account'a they got mice and other fun critters. Take a moment to poke through McGill University Libraries' great collection, full of beautiful art. The Morgan Library. I finally made it. Wow. Gentle reader, I wasn't exaggerating: An original Paradise Lost manuscript! Letters from Hemingway, Cather, Ben Franklin, even! A copy of Frankenstein marked up in Mary Shelley's own hand! Original sketches and paintings of everyone's favorite French elephant! The only intact surviving Caxton edition of Le Morte D'Arthur! (OK, maybe only I care about this one). Oh, and if Mary Shelley's handwriting doesn't qualify as art itself, there's plenty of official art, too -- right now, an impossibly rich collection of Rembrandt etchings, including some adorable young self-portraits that gave me a better feeling for the man than many of his great works have. Not to mention all the gorgeous medieval manuscripts, bejeweled Anglo-Saxon Bibles, and an impressively well-preserved 15th century Italian tarot deck. As for the much-buzzed-about renovation itself -- I'm no architecture critic, so I'll only say it seems to suit its purposes, I guess. Lots of light and loftiness in the new Renzo Piano-designed section, though we noticed a few details (odd floorboards around the indoor trees, exposed mechanics around the glassy elevators) that detracted from its clean lines and looked all the more sloppy against such a spare and bright environment. A more architecturally-savvy visitor observed that there's a lot of big, empty space that eats up the middle of the floorplan, and I thought the amount of the original wing left open to the public seems kind of stingy. But it is airier and more comfortable than some NYC museum experiences, anyway. Oh, the old wing, back where J.P. smoked his cigars amidst his millions, is pretty impressive, of course -- smells and looks just like a rich guy's library should, complete with catwalk to reach the three stories of priceless books, and a huge bolted vault built exclusively to house his medieval manuscripts. Coincidentally, that's what I'm aiming for in my next place, too.